Key Account Hire Controller Paying £20k Based in Rushden, Northamptonshire The Role The Key Account Hire Controller role is to focus on the relationship with our Key Account customers, to achieve customer service excellence at all times. Maintain disciplines that adhere to our customer's instructions. Strive to guarantee customer satisfaction. Work as a collective team across the Key Accounts department. Comply with office guidelines, safety and security procedures. The Key Account Hire Controller role is to focus on the relationship with our Key Account customers, to achieve customer service excellence at all times. Maintain disciplines that adhere to our customer's instructions. Strive to guarantee customer satisfaction. Work as a collective team across the Key Accounts department. Comply with office guidelines, safety and security procedures. The Key Account Hire Controller will work on site for the Key Account of a leading Tool Hire company. 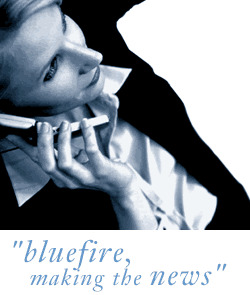 Bluefire Consulting are a Recruitment Agency working on behalf of the end client.